SKI Capital Franchise is a new broking franchise established at New Delhi. 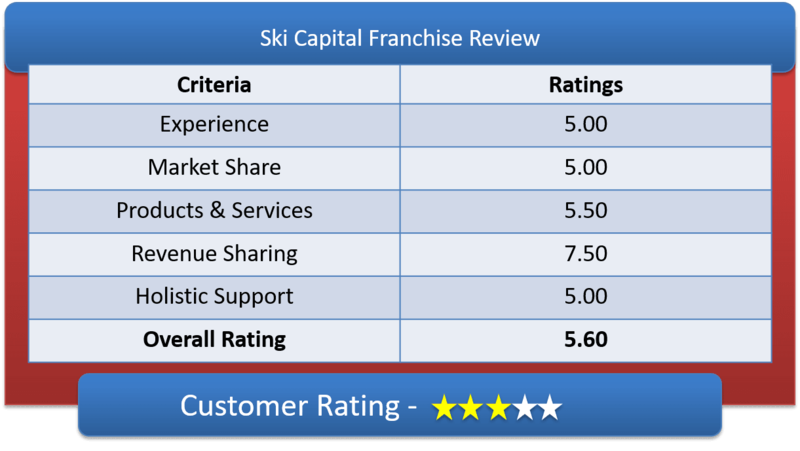 Lets have a detailed discussion on SKI Capital Franchise Review & in-depth understanding of SKI Capital Sub Broker offerings, Franchise Revenue Sharing Models & other features of SKI Capital Partner Program. SKI Capital is serving its clients since 1993. In 1995, it became the member of National Stock Exchange (NSE); in year 2000 a member of NSDL and BSE in 2007. Recently, SKI got the membership of MCX and NCDEX. The broking house provides services for trading, depository and commodity exchange. They are always open for distributing the franchise services and extend the business across India. Ski Capital offers attractive brokerage plan to become a franchisee or Remisier. In Authorized Person, the invest could cost around 2-3 Lakhs in infrastructure and manpower to open a franchise outlet or office. To be a partner with SKI, one should have a good track record in stock market and a good understanding of its product and services. A good number of client base and social circle. The office space should be of minimum 200 sq. ft. and on prime location. The office should be preferably on ground floor or first floor. The person should have 1-2 years of experience in financial products buying and selling to become a partner with SKI. Lets have a deep discussion on Ski Capital Sub Broker Revenue Sharing Models & Security Deposit amount. The revenue sharing ratio is 70:30 in AP, here the authorized person takes 70% of the brokerage generated and 30% to SKI. Later, when the generated revenue increases and the business picks up the pace, then the franchise owner can ask for more share percentage or exclusive facilities. In Remisier, the revenue sharing ratio is 30:70, where franchise owner keeps 30 percent of the revenue generated and 70% to SKI. In Master Franchise, they offer a very good amount of share. The gapping percent could be up to 30% on each franchise. For a self-setup or AP, a minimum of Rs 50,000/- is the security deposit amount (refundable during exit), then a total investment will cost around 2-3 lakhs initially for the setup. Other charges that are non-refundable, are registration charges for NSE is Rs 2360 (one time) for each segment. AMC charges for software, for ODIN is Rs 400/month and for NOW the AMC is Rs 100. Other expenses in VPN connectivity, telephone with call recorder and broadband connection for reporting and other expense for AC, two PC or Laptop and all the rental expense and electricity bills. SKI facilitates trading in Equity, derivatives, commodities, and currency futures. Other services provided by SKI are online trading, depository, insurance, PMS, IPO, mutual funds and research. The SKi Franchisee will receive the Marketing Support through poster, brochure, leaflets, Newsletters and Product E-mailers, business cards, stationary Website, Marketing Collaterals, TV, Newspaper, Seminars and Events, Outdoor Signage Posters, Standees, Canopies, etc. They provide robust training to the partner and their employees about the trading platform, software and SKI business process and ethics. SKI offers assistance to understand different aspects of products, which is necessary for client acquisition and maintain client base. Why Partner with SKI Capital? One-stop shop for financial services. Offers all sort of investment options, for trading. Online account opening facility with HDFC, AXIS, SBI and PNB is possible. Demat account is maintained at DP. How to become SKI Capital Partner? To get the franchise code for staring the business, takes around 15 working days for registration completion. Approach any chartered accountant, to ease the registration process and avoid errors. For becoming the Remisier at SKI, the registration process is almost same as that of AP.